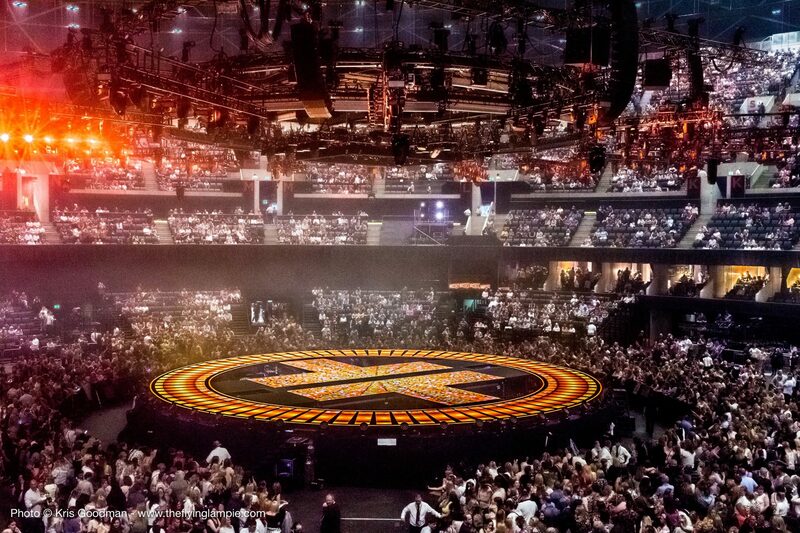 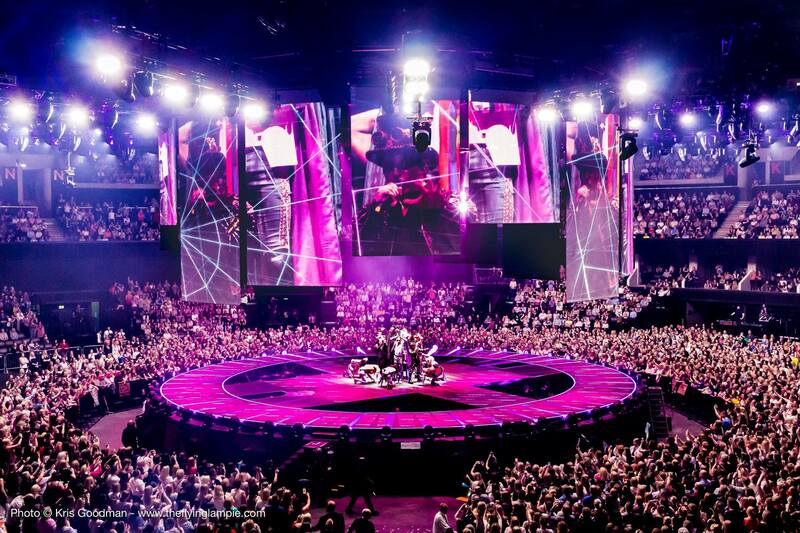 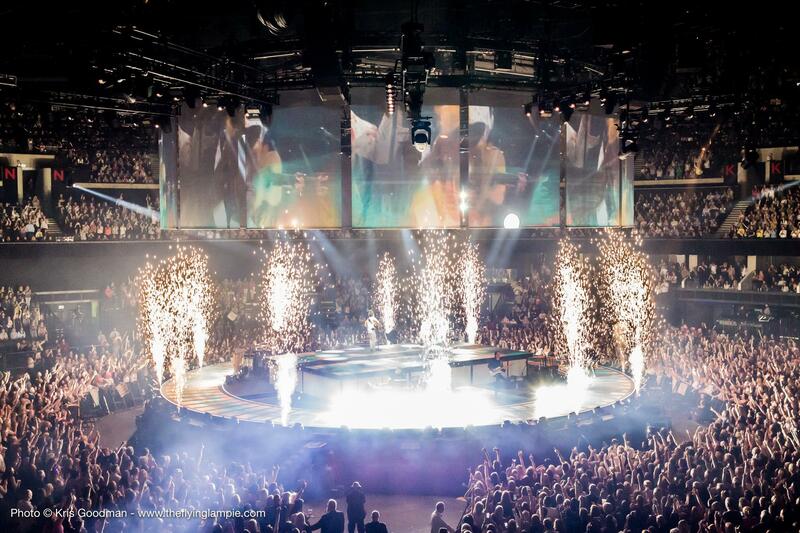 This all new show is touring UK arenas now and is a full in the round spectacle. 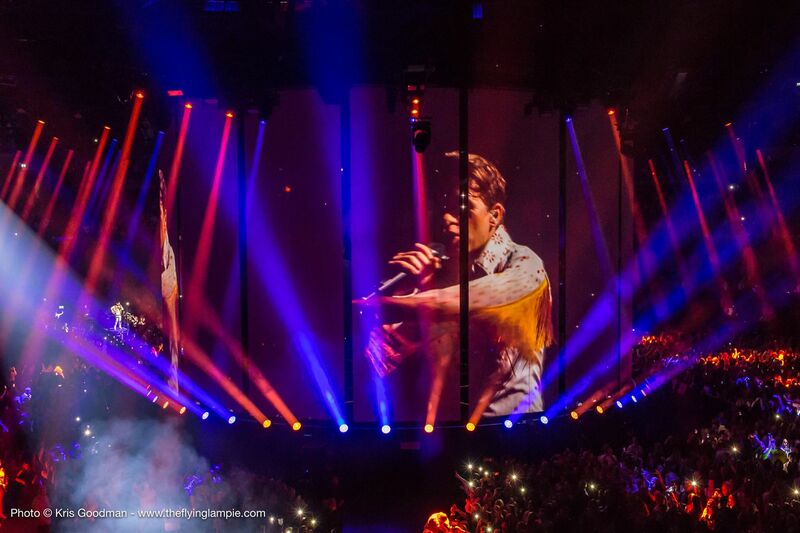 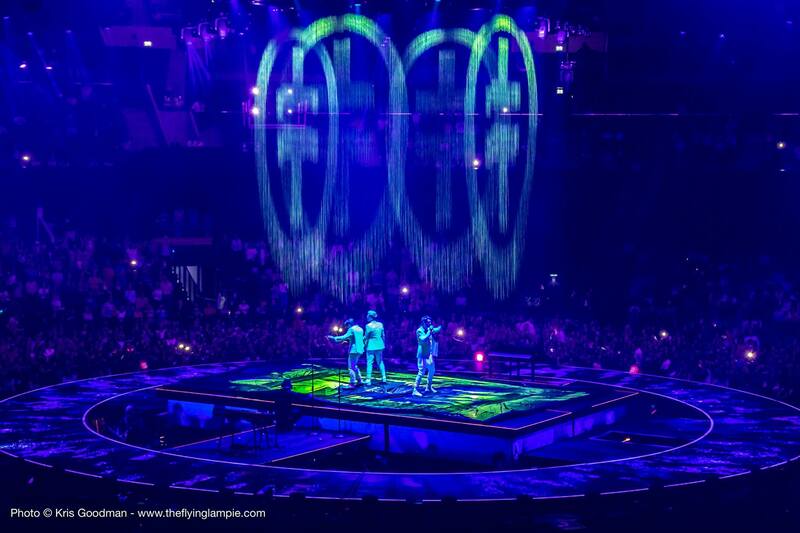 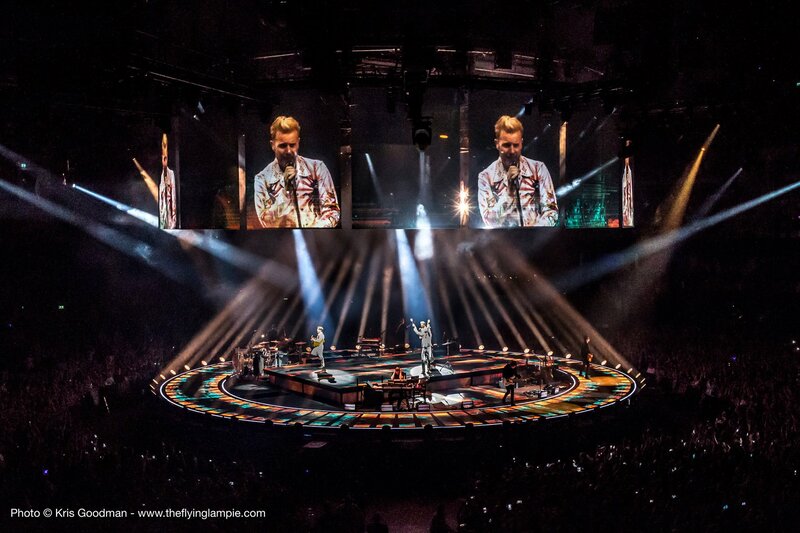 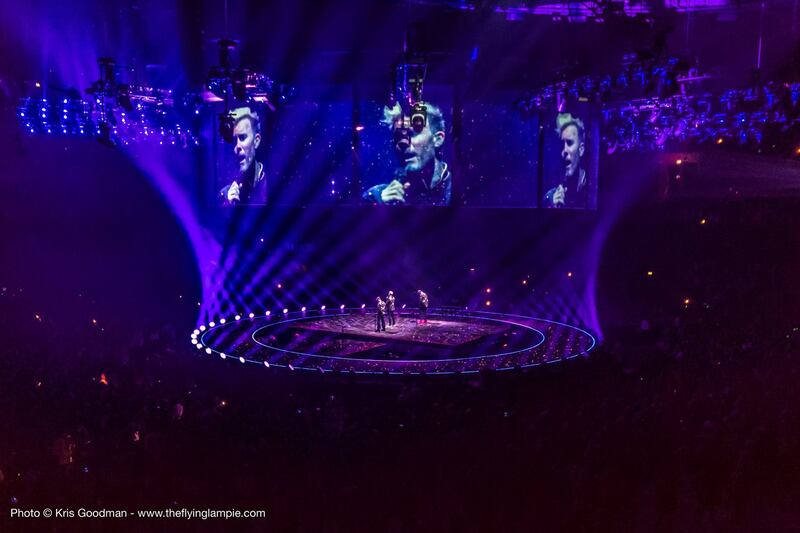 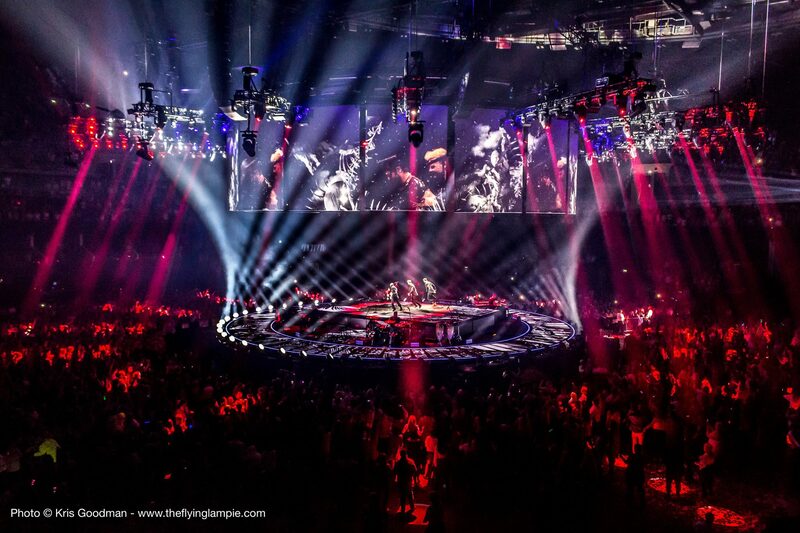 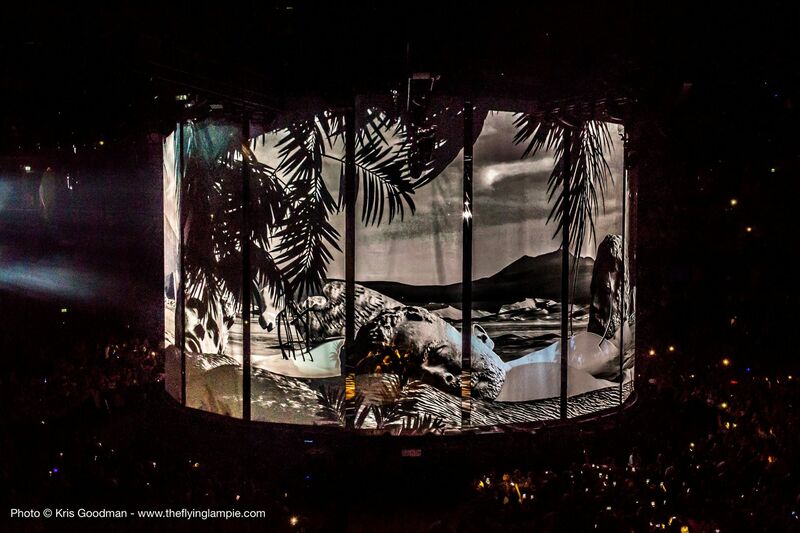 We are thrilled to be once again designing the lighting for their mammoth tour. 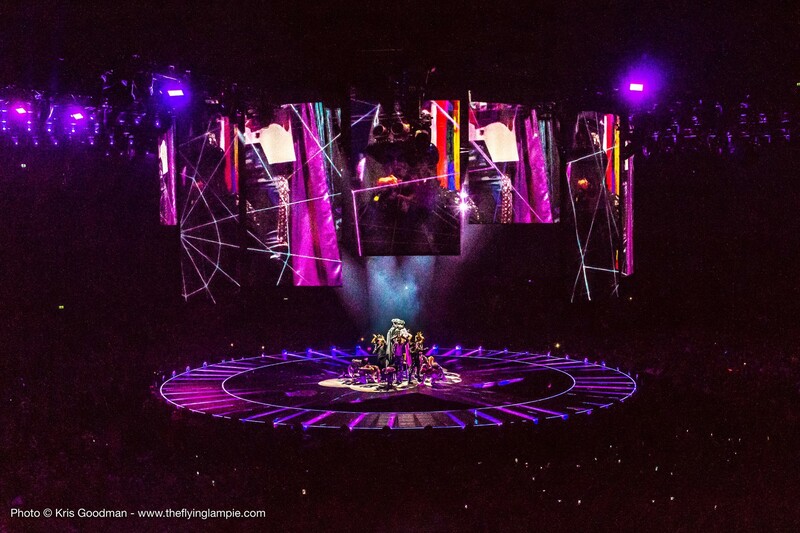 Many thanks to Neg Earth and their amazing crew as ever led by Ian Lomas and project managed by Caroline Beverley. 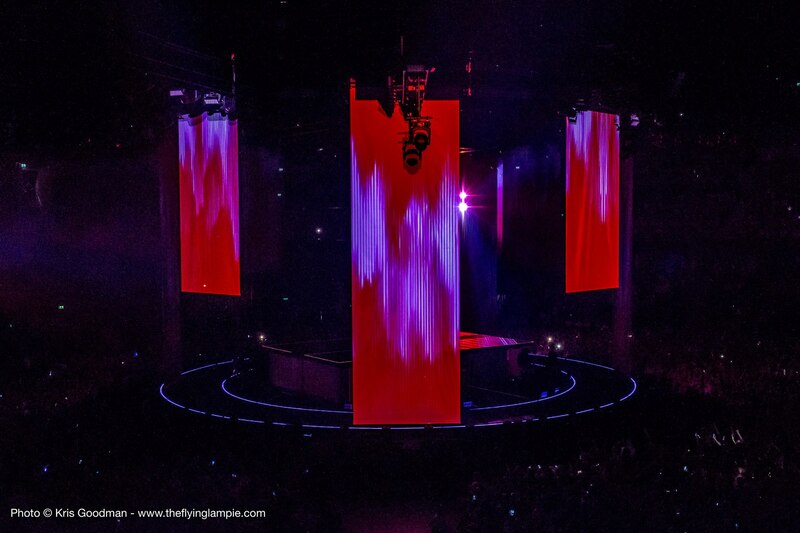 Tom Young of TRLD for his amazing programming. 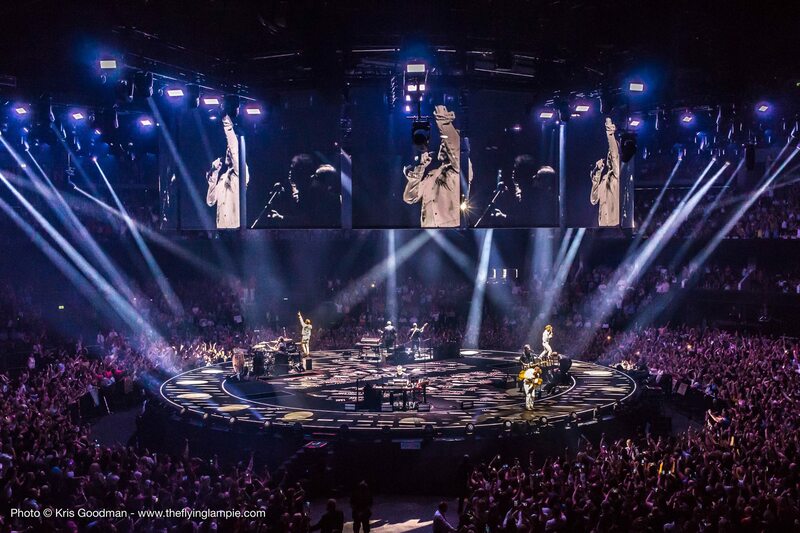 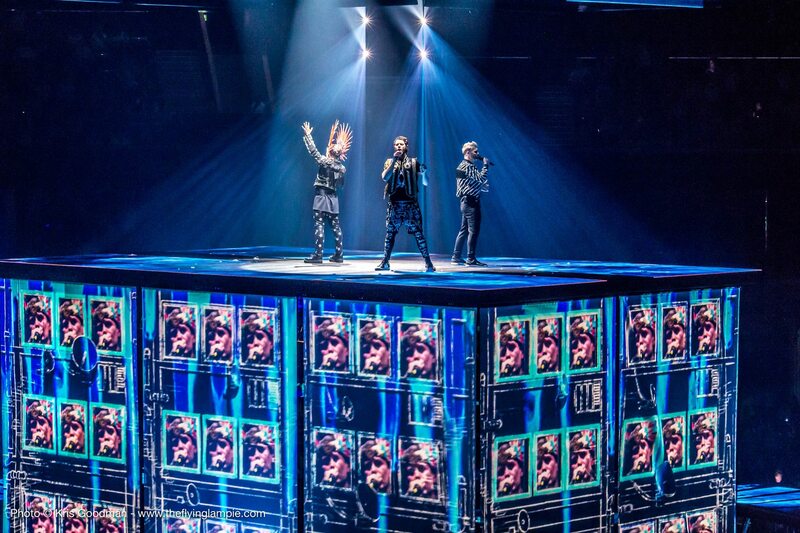 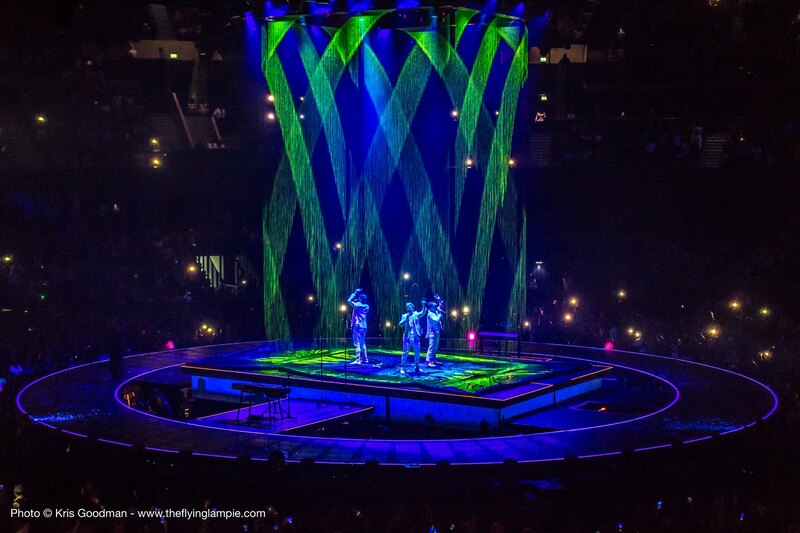 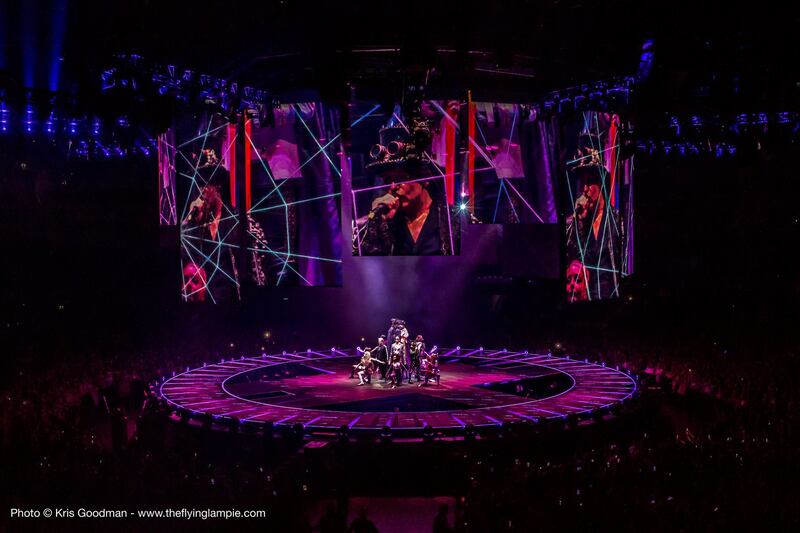 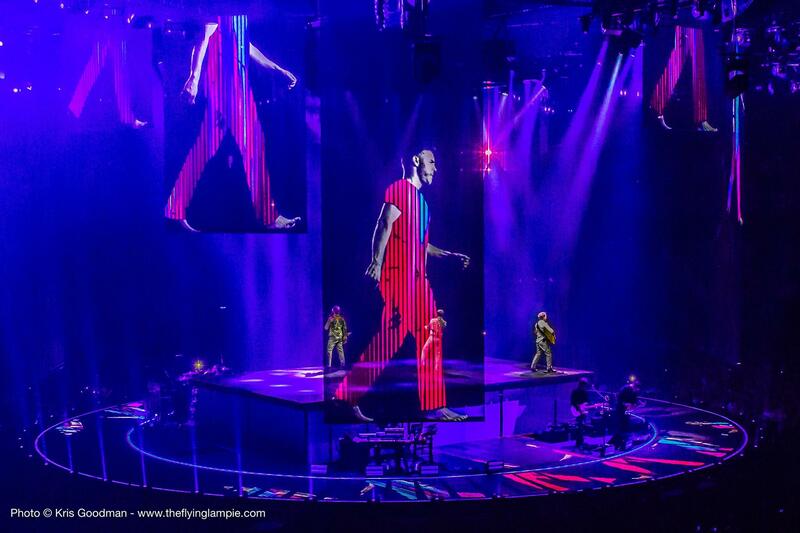 State of the art Blacktrax performer motion tracking system supplied by Dark Arts Creative enabling 48 fully automated followspots to track the action on the the 3 members of the band plus supporting cast and involving 6 costume changes and motion pack changes. 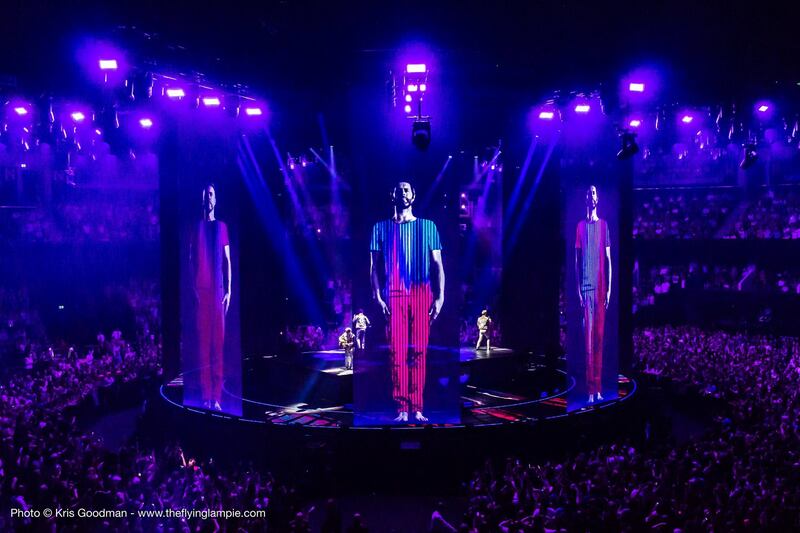 The Blacktrax also is responsible for enabling Video Design to lineup and calibrate their projectors without the need for the set to be in place by calibrating the 3D space in each venue. 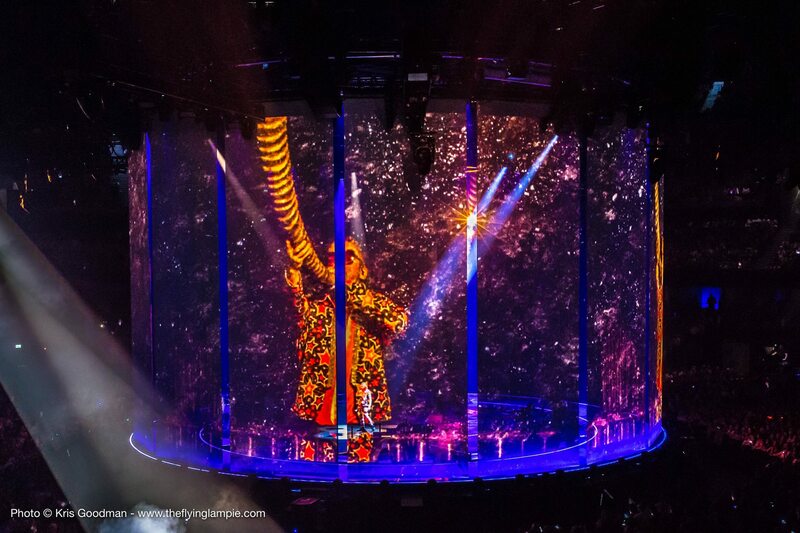 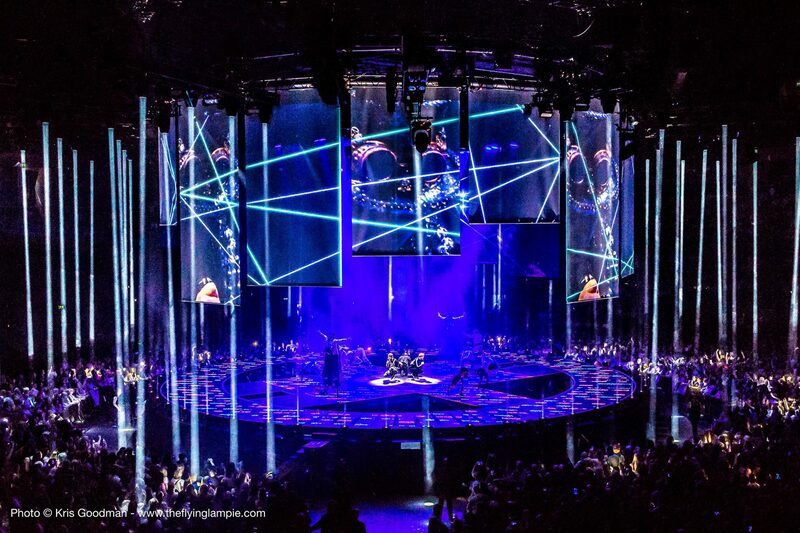 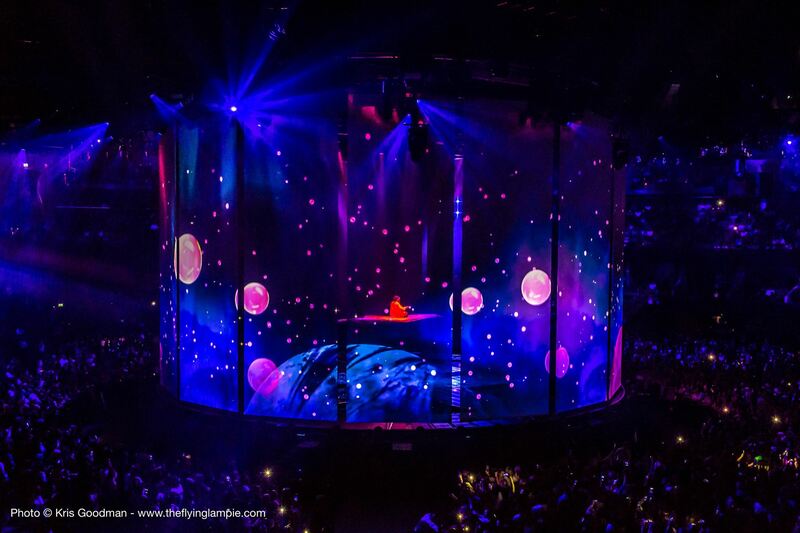 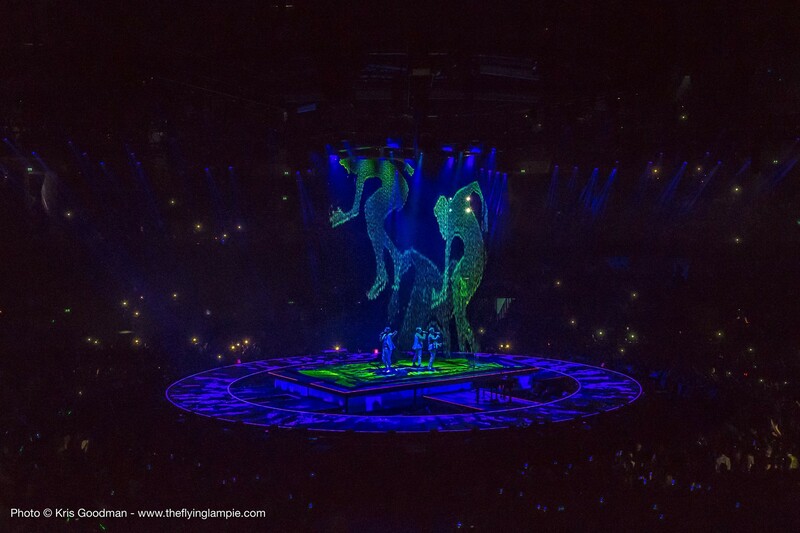 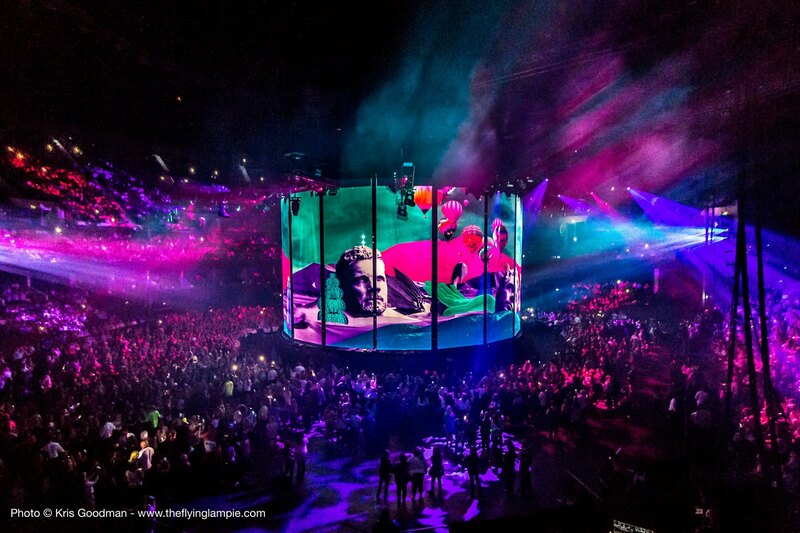 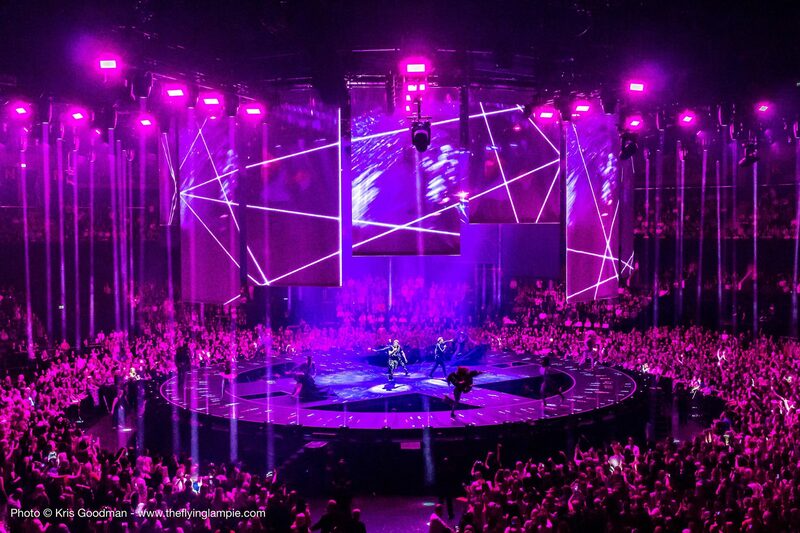 Automation and stage build by Wi Creations automating 5 lifts, stairs, a huge revolving carousel, a magic carpet and 32 12m rolldrops for projection and creating constantly changing architecture to the show.